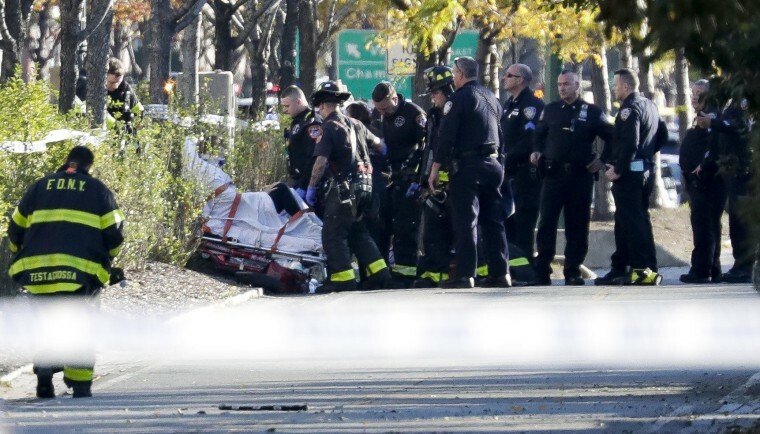 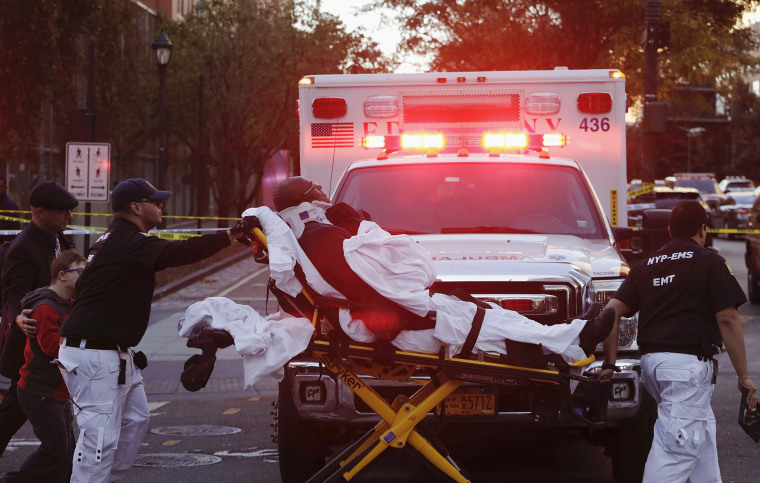 A truck driver entered a bike path in lower Manhattan, hitting pedestrians and cyclists which resulted in multiple deaths and injuries. 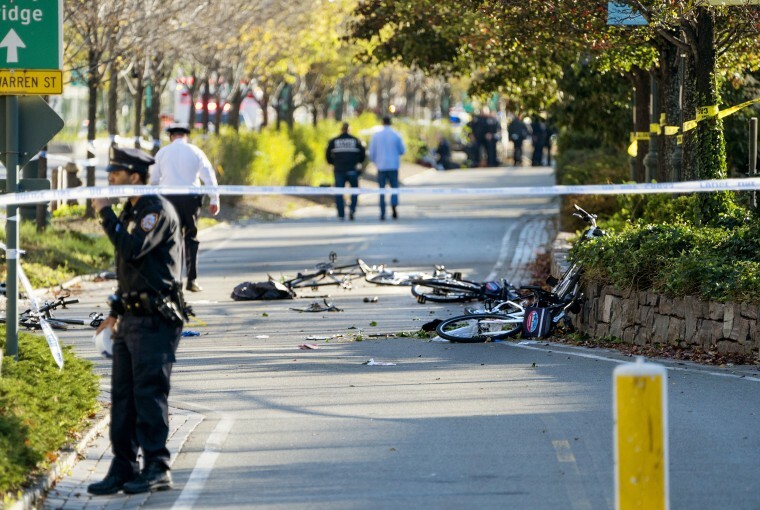 Bicycles and debris lay on a bike path after a motorist drove onto the path near the World Trade Center memorial on Oct. 31, 2017, in New York. 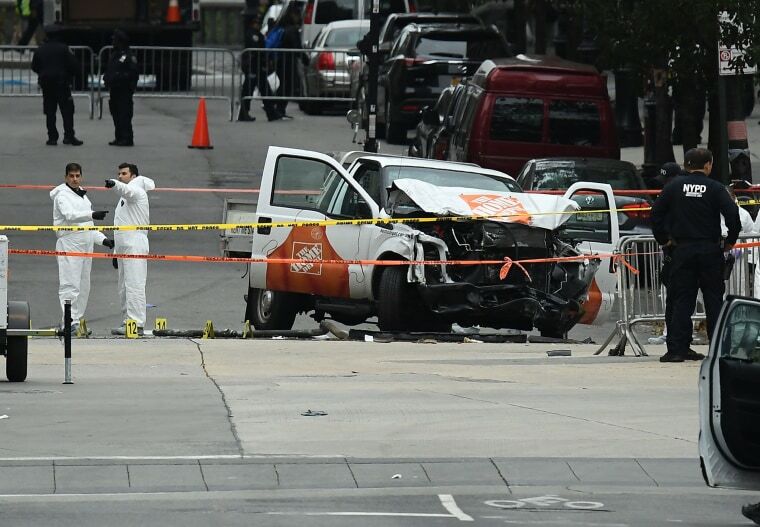 Authorities stand near a damaged Home Depot truck used by the motorist who drove onto a bike path, striking and killing several people. 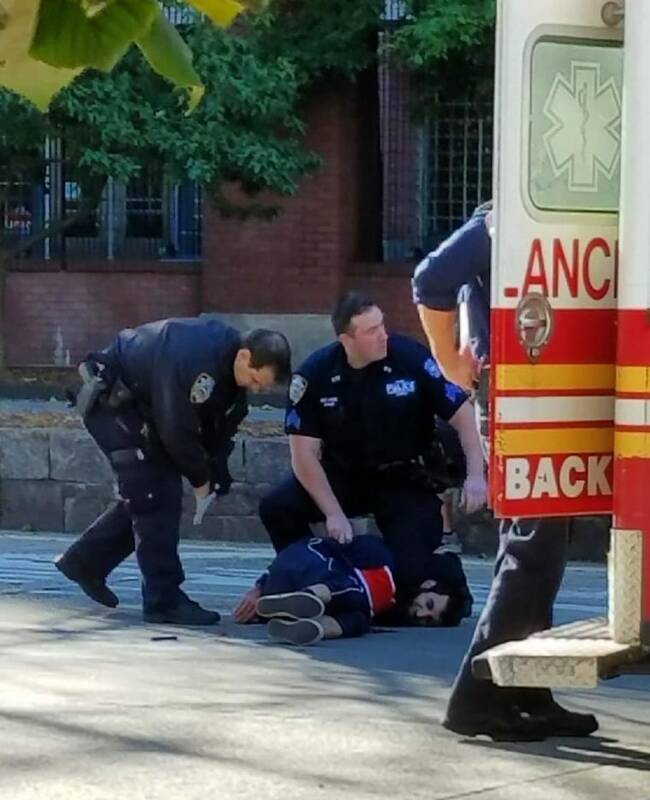 Police hold down suspect Sayfullo Habibullaevic Saipov after the attack. 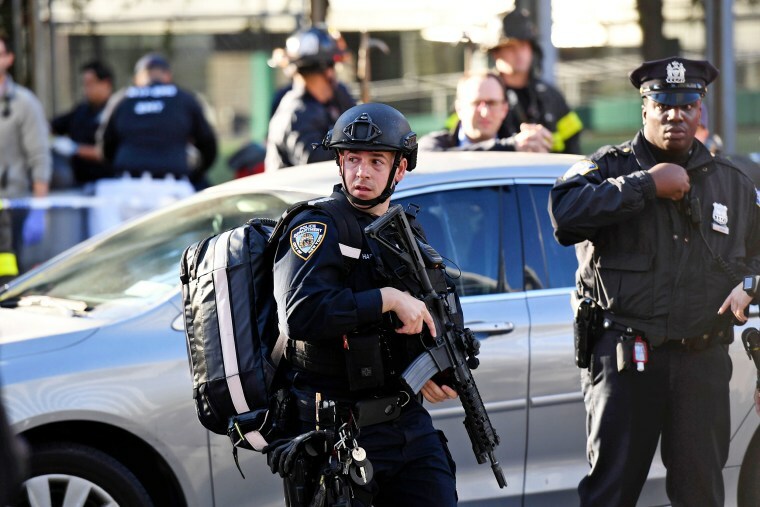 Police officers arrive at the scene in lower Manhattan following the incident. 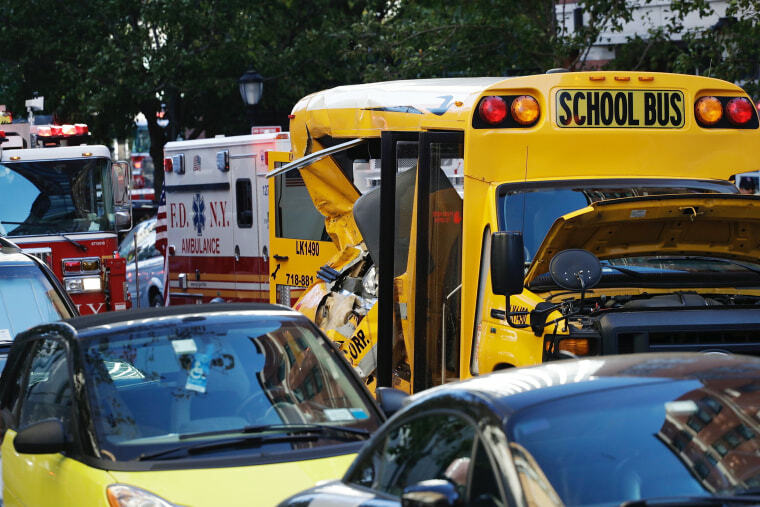 A school bus was damaged in the attack. 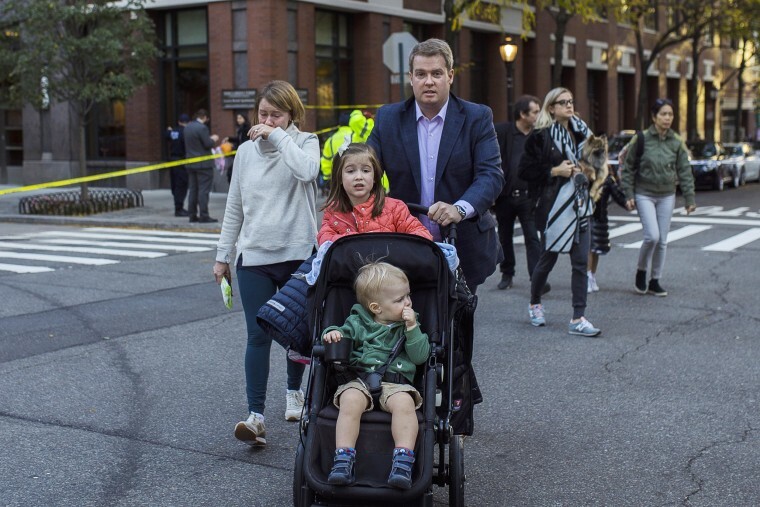 A woman cries as families carry their children out of the scene after a motorist drove onto a busy bicycle path near the World Trade Center memorial and struck several people on Oct. 31, 2017, in New York. 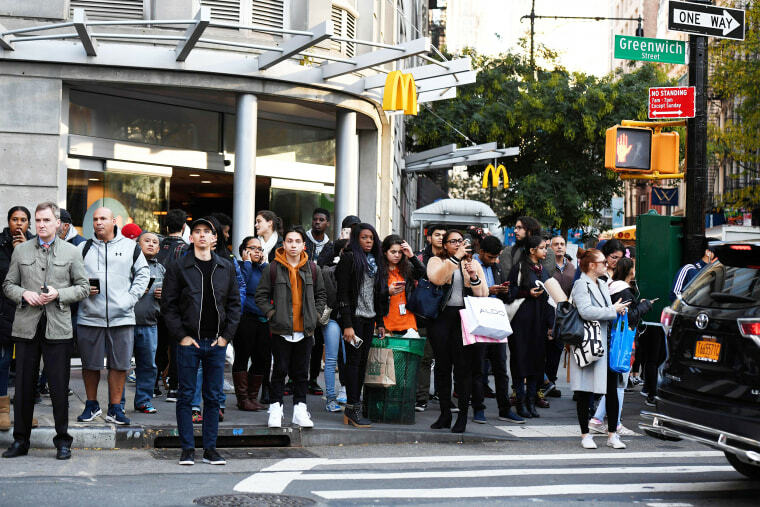 A crowd gathers at the scene of the attack. 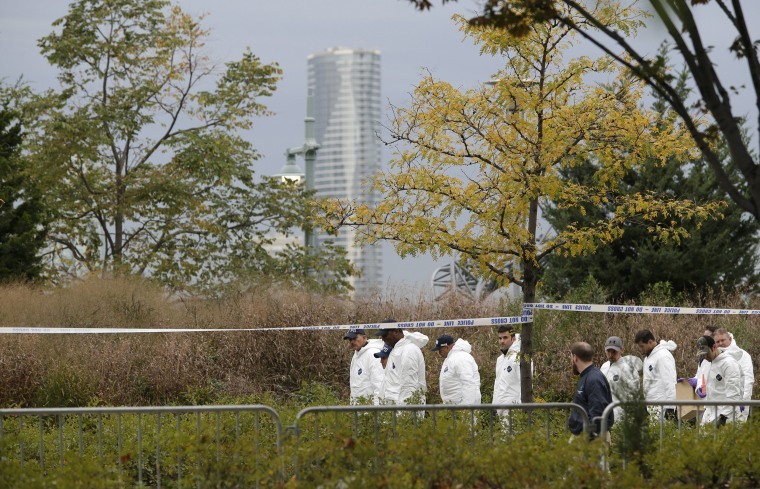 Authorities investigate the scene near a covered body on the bike path. 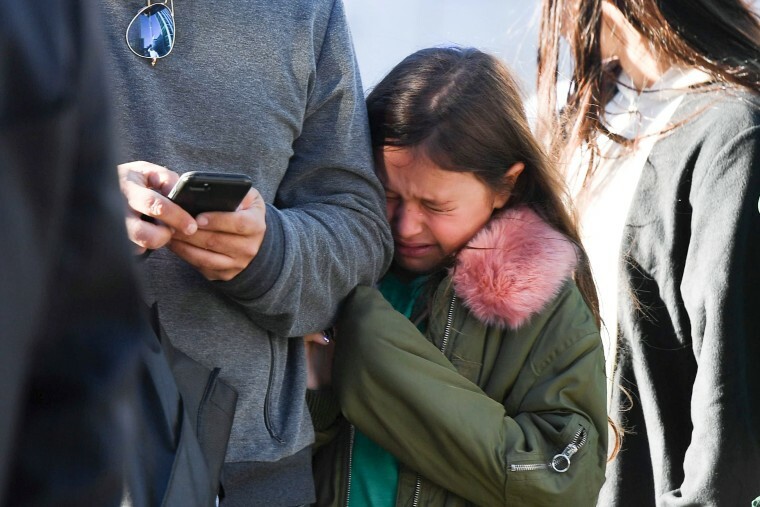 A young girl reacts as police officers secure an area following the incident. 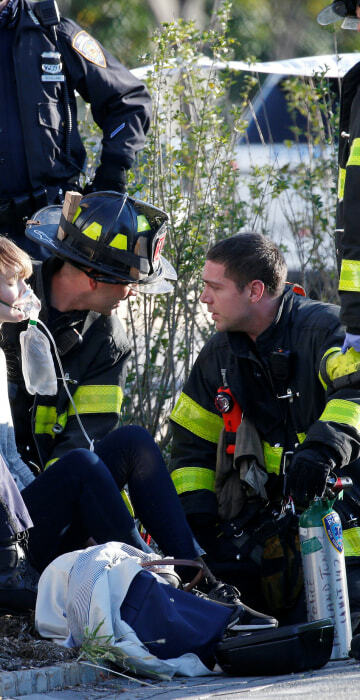 A woman is aided by first responders after sustaining injury on the bike path. 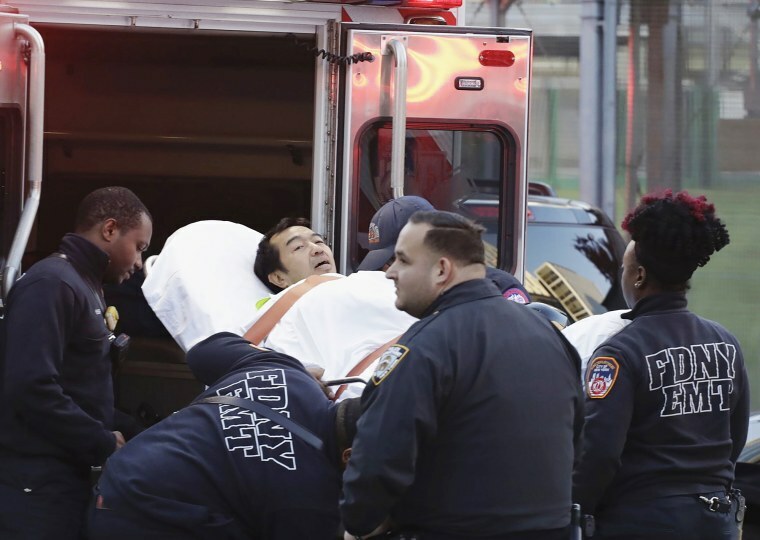 Emergency personnel transport a man on a stretcher. 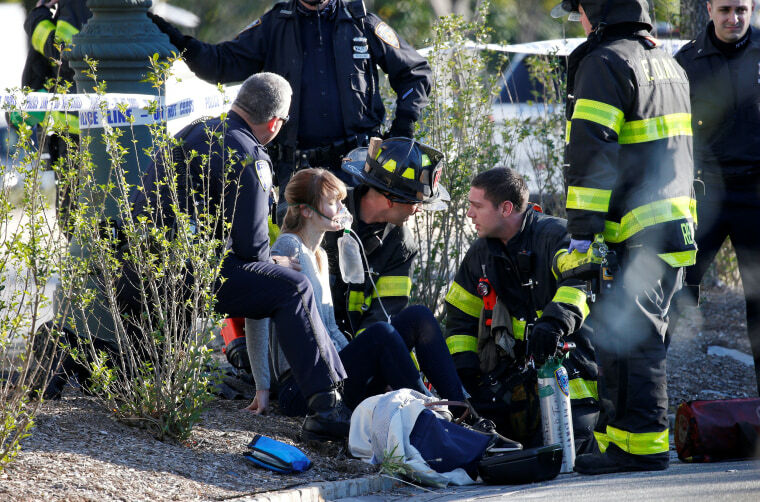 Emergency personnel attend to a victim at the scene. 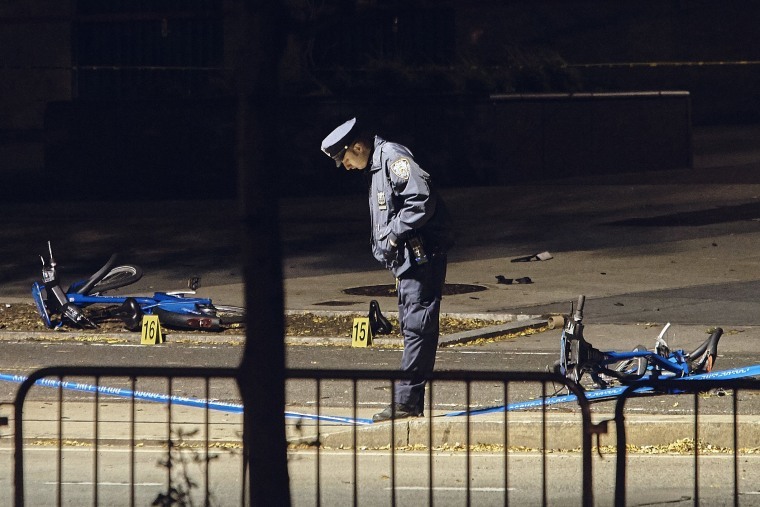 A police officer stands at the crime scene on Nov. 1. 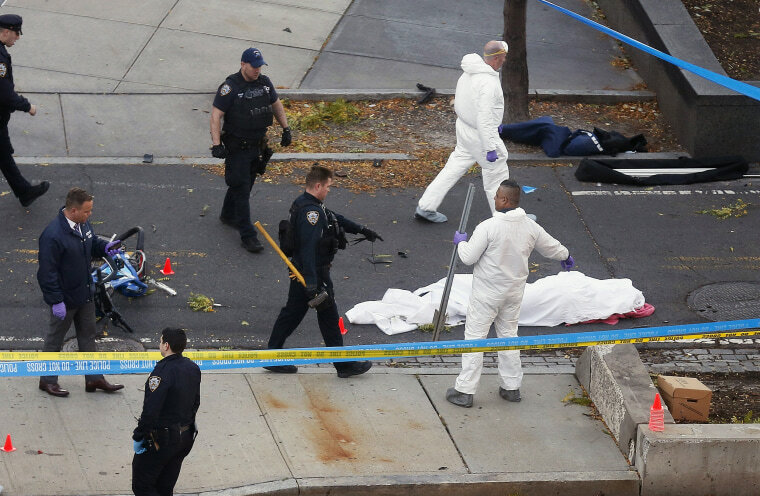 Crime scene investigators walk slowly down the west side bike path in lower Manhattan on Nov. 1. 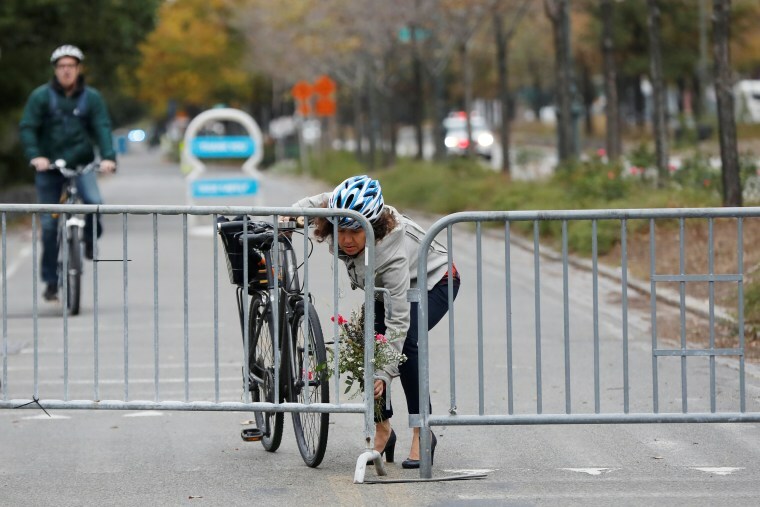 Celia Imrey, 48, lays flowers for victims of Tuesday's attack on a bike path along the Hudson River on Nov. 1. 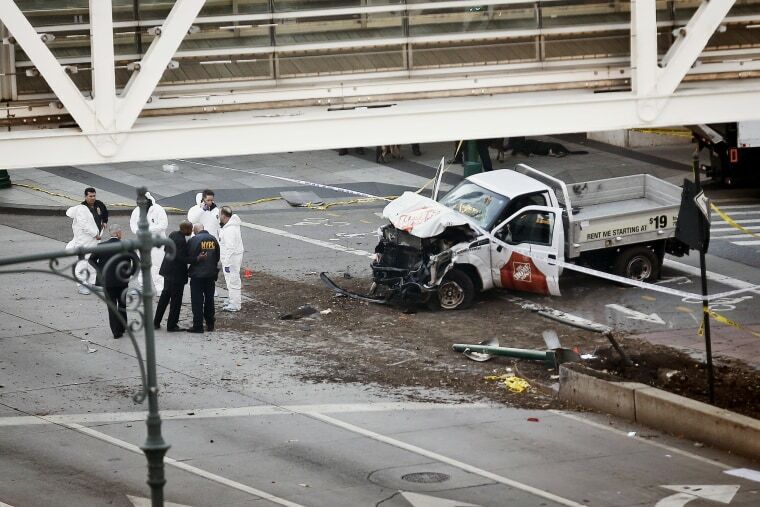 Investigators work around the wreckage of the Home Depot pickup truck on Nov. 1. 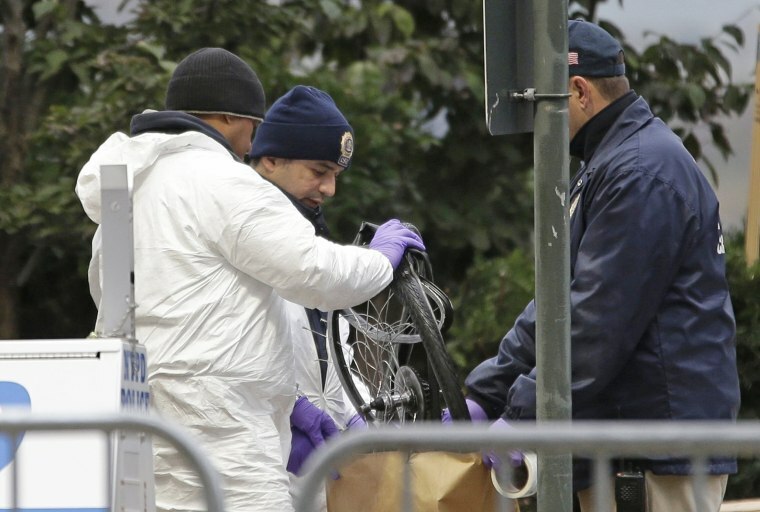 Crime scene investigators collect evidence on Nov. 1 at the scene of the truck attack.